Ugwu, a boy from a poor village, works as a houseboy for a university professor. Olanna, a young woman, has abandoned her life of privilege in Lagos to live with her charismatic new lover, the professor. And Richard, a shy English writer, is in thrall to Olannas enigmatic twin sister. As the horrific Biafran War engulfs them, they are thrown together and pulled apart in ways they had never imagined. 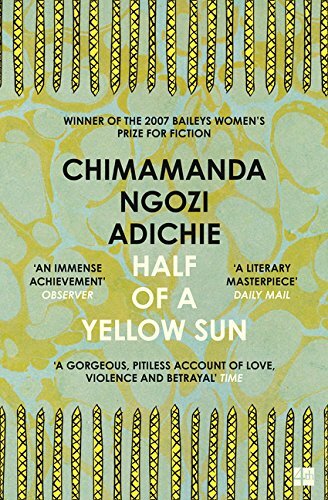 Chimamanda Ngozi Adichies masterpiece, winner of the Orange Prize for Fiction, is a novel about Africa in a wider sense: about the end of colonialism, ethnic allegiances, class and race and about the ways in which love can complicate all of these things.